The Philippine construction industry, even before the advent of globalization, the working conditions is already far worst and inhuman. It is world of works where best exemplified by the three D's - dangerous, dirty and difficult. This is equivalent to a high D - dehumanizing.Even if the NUBCW have successfully lobbied for thepassage of Department Order No. 13, teh guidelines for the implementation of the occupational safety and health in construction industry, many construction firms simply ignore the law before the very eyes of helpless government inspectors. These are the things we do. Held trainings, help on political matters and other matters that relates to labor force. In the mid-1190s, the five (5) construction workers' associations organized by the five (5) Philippine affiliates of the Building and Wood Workers International (BWI), were banded together to form into an industry union, the National Union of Building and Construction Workers or NUBCW. Born in 2001, it was the first registered labor organization under the category of an industry union. 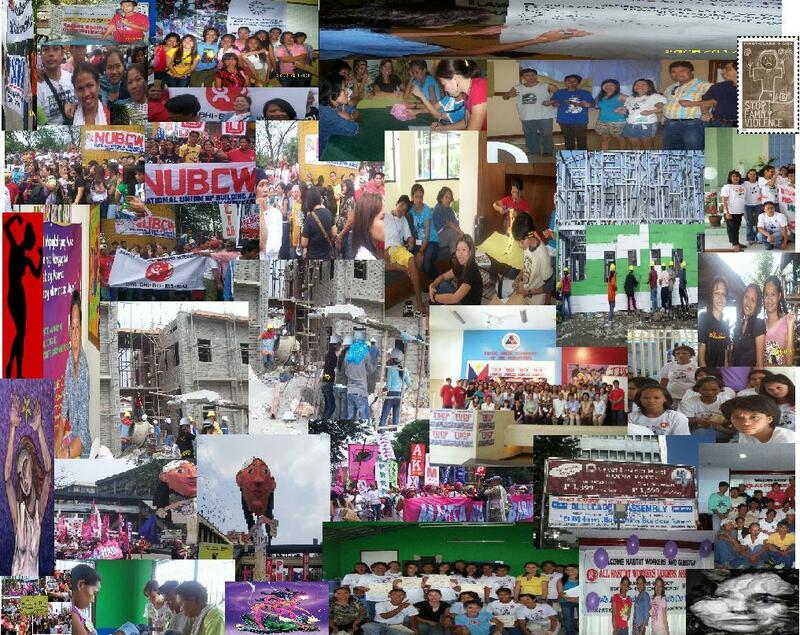 Despite the absence of any precedence for union organizing in the construction industry, the new born NUBCW struggles its way to establish its own space in the labor federations to prove to the fragmented Philippine labor movement that world of works that is more humane and egalitarian for Filipino workers is still possible. "To build a world of works that is humane and egalitarian for Filipino workers is possible"